Nowadays iPhone become one of the powerful tech gadgets that affects our daily life. However, sometimes we may not be satisfied with its limited screen when we are watching videos or playing games, and we will try to mirror the iPhone screen to bigger devices like computers or TVs. To satisfy this need, Apple introduced AirPlay in iOS devices exclusively. Yet AirPlay function only works on Apple products like Apple TV. If you want to mirror iPhone screen to other devices like Samsung TV, you would need other ways. 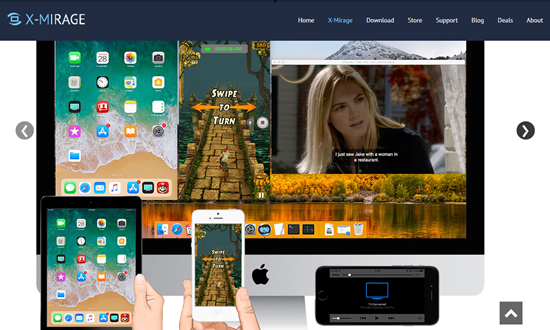 Hence in this article, we will provide you all details of 5 mirror apps in a clear and simple way so that you can connect iPhone/iPad to TV wirelessly without Apple TV . Following are the screen mirroring apps for iPhone or iPad. Without using any cable or wires you can transmit your video, data, and content to the big screen of computer via Reflector Director, an excellent wireless mirror creation app for iPhone and iPad. This app is developed by Squirrel LLC, and you can buy it from App Store in just $6.99. 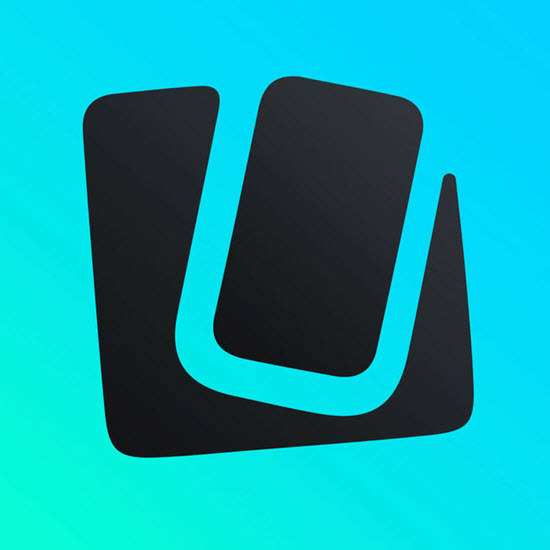 By using this app, you can connect iPhone to TV wirelessly to play games, run apps, watch videos, present your demonstrations and much more from your own hands. The Reflector Director has many attractive features, because of which it is very popular and famous among different users of that app type. When multiple devices connected through this application, it selects the best design automatically because it has an intelligent and smart algorithm. And it allows you to highlight the screen, which makes it different from other apps and good for classroom presentation. Another feature of this app is you can hide and not display the connected devices without disconnecting all these devices. Reflector Director allows you to directly send your mirrored screen to your YouTube channel or anywhere in the YouTube. It is a very easy to use application that involves so few steps on using. The x-mirage application is best for mirroring your device from iPhone/IPad to Window or MAC wirelessly. It allows you to stream the content, videos, etc. wirelessly from your IOS devices to any other PC, as the most professional Airplay server for MAC and Windows. With only one click, you can record the audio, songs, and any type of video from your any IOS device. To more easily identify Airplay receivers, it allows you to name your computer and also mirror multiple devices on a single PC or MAC. By transforming your MAC and PC into an Airplay receiver, X-Mirage allows you to mirror playing games, record videos and much more on the big display of your PC or laptop. The x-mirage application is so easy to use that you just need to install it on your computer and follow its guide. Mirroring360 is not just a recording app. This app is so cool and amazing that allows you to record your iOS device screen and mirroring your device, as well share your recording to 40 people with a simple web link. Through this app, you can share your IOS device screen with another computer without using any cables. Mirroring360 has too many great features for mirroring your iPhone fluently and efficiently. Mirroring360 is such an app that can be used at every place like in schools, universities, at home, at the office, and by anyone, whether the person is a student, a college boy, a professor, a businessman or a housewife. Mirroring360 is also called the best mirroring app when it comes to mirroring your college presentations, sharing your lectures, recording lessons, watching movies or playing video games from your iPhone on other devices. Mirroring360 app can be downloaded from its official website. 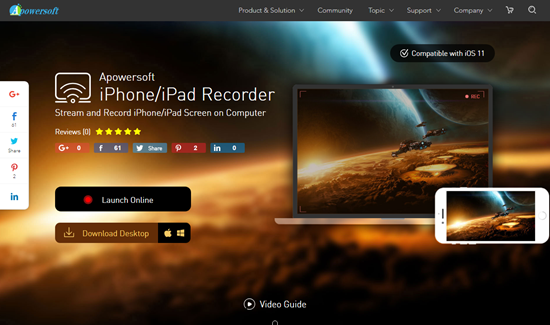 Mirroring360 is an excellent and useful app that can be also used in MAC and Windows. Remember that your computer and your mirroring IOS device must be connected with the same internet connection. You have to pay for using it completely and you can also test it with a 7-day free trial. For screen mirroring of your iOS device, this app is one of the best solutions to create screen reflection. You can record the screen of your iPhone easily. This app allows you to mirror your device on your computer wirelessly to record games, video, movies and so on. The iOS screen recorder is very easy to use and just in a few steps you can easily record and mirror your IOS device screen to computer. From its official wondershare website you can buy this app or try it free though all the features of this app is not available for free. It’s time to introduce you to a wonderful and amazing screen recording application that is called Apowersoft iPad/iPhone Recorder application. This application gives you an incredible way to record and mirror your IOS device screen like iPhone/iPad to computer. Remember that you have to connect your both devices with the same internet connection for mirroring your iPhone screen. First, you have to install its launcher to use this application with no need of any other Java applet. The iPhone/iPad recorder is developed for both platform Android and IOS. Form its official website you can download this application for free. Through this app mirroring your iPhone onto your PC is really easier than you think. How to Successfully Unlock a Disabled iPhone Without using iTunes and Data Loss?